This is the unique river front property you have been looking for. Very private, summer getaway or that year-around secluded cottage that you've been wanting. 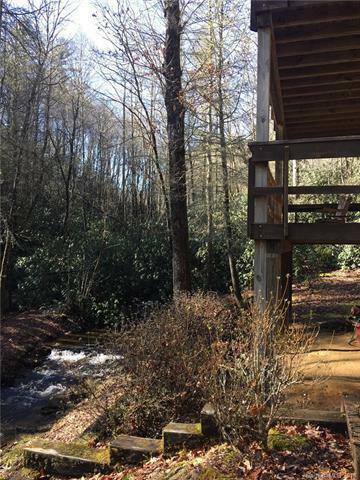 Enjoy the sound of your bold flowing creek while sitting on the covered deck. This home is about a 25 minute drive from downtown Brevard and Cashiers. Only minutes away from Gorges State Park. Extra room for an office. Gathering around the fireplace is a perfect way to spend cooler evenings. Recently updated with fresh paint, wood flooring, a new vanity in the master bath and new wood ceilings on the main level. Sold by City Real Estate Llc.